2. No ne ed to worry about losing dices, very cool lid design to keep the dices with dice cup together. was established in 2004, We are as one of the professional barware accessories manufacturers in China for many years. we only do these product, so we are more professional in this field. Model No. : HC143971 Quantity/Carton: 10000pcs Name: fuzzy dice Carton Size: 40x40x40cm Packing: Thermoplastic film G. W: KGS Product Size: 1.4x1.4x1.4cm N. W: KGS 20feet QTY: 4650000pcs 40feet QTY: 9070000pcs **For children above 3 years old. 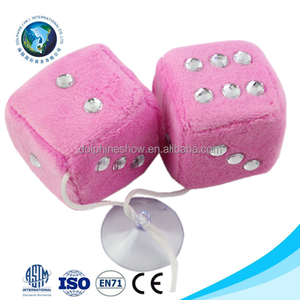 Professional fuzzy dice manufacturer in shen zhen china, Design in our professional R&D team, production in shen zhen, Save the cost and assure the best quality for all of our customers. We will continue our initiated development drive to produce more electronic products with high quality to satisfy customers. Golden weald all of the component come from original manufacturer, we nerver use one old chipset and cheaper component for our customers. These dice are only for the serious gamer, and they are bonus product. In order to ensure the quality of products, we run strictly to production since established. So if you are interested in any of our items, please don't hesitate to contact us for more details. We can print the LOGO on the surface according to your requirements. We also can make the LOGO and size according to your requirements. We can print the LOGO on the surface according to your requirements. We are specializes in a full SMT and through hole PCBA assembly, obtaining components, building prototype quantities, and testing. We will continue our initiated development drive to produce more electronic products with high quality to satisfy customers. Golden weald all of the component come from original manufacturer, we nerver use one old chipset and cheaper component for our customers. Alibaba.com offers 165 dice fuzzy products. About 33% of these are dice, 1% are board game. A wide variety of dice fuzzy options are available to you, such as plush, wood. You can also choose from free samples, paid samples. 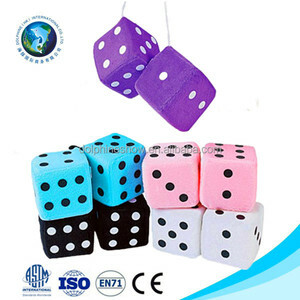 There are 167 dice fuzzy suppliers, mainly located in Asia. The top supplying countries are China (Mainland), United States, and India, which supply 95%, 4%, and 1% of dice fuzzy respectively. 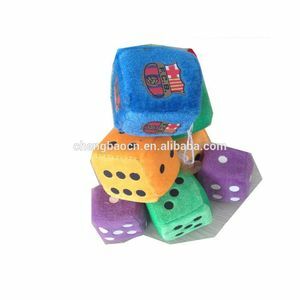 Dice fuzzy products are most popular in North America, Western Europe, and South America. You can ensure product safety by selecting from certified suppliers, including 34 with Other, 15 with ISO9001, and 5 with ISO14001 certification.